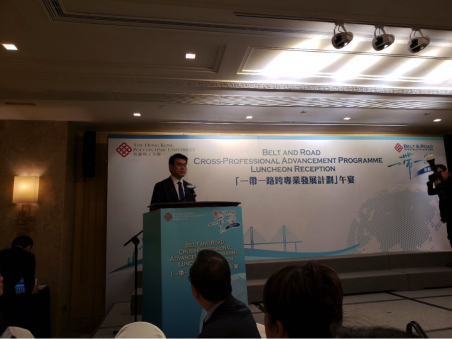 The Institution of Public Private Partnerships is proud of being a Supporting Organisation of the Belt and Road Cross-Professional Advancement Programme, organised by Hong Kong Polytechnic University. 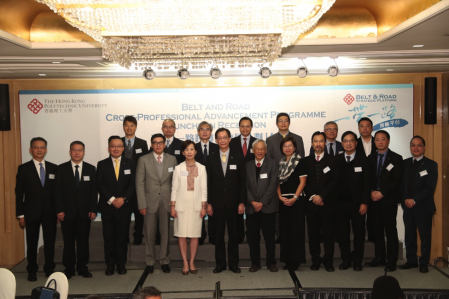 The Programme is supported by the Commerce and Economic Development Bureau of HKSAR Government, which will provide a first-ever and unique platform for professionals of various disciplines in Hong Kong and business leaders to exchange knowledge and share experience related to infrastructure development in the Belt and Road countries, as well as to develop multilateral collaboration for capitalising on the opportunities brought by the Belt and Road Initiative. 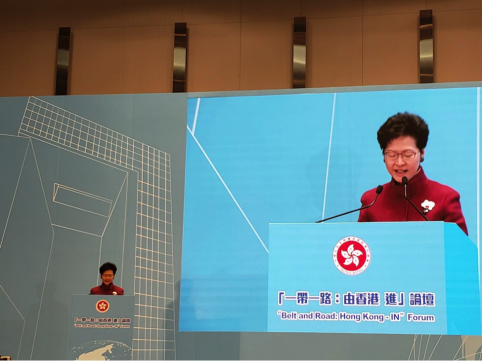 The Programme, featuring seven uniquely designed workshops and two sharing sessions, will be held from January to October during the year of 2019. 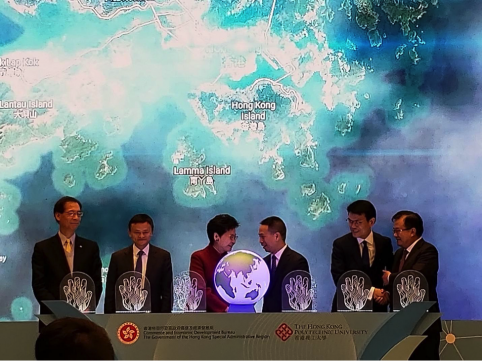 Prior to the inauguration of the Programme, The Commerce and Economic Development Bureau (CEDB) hosted the “Belt and Road: Hong Kong – IN Forum”, with The Honourable Mrs Carrie Lam, Chief Executive of HKSAR and Mr Jack Ma, Executive Chairman of the Alibaba Group as the guests of honour, who officiated the inauguration ceremony on 12 December in the Central Government Offices, Tamar. 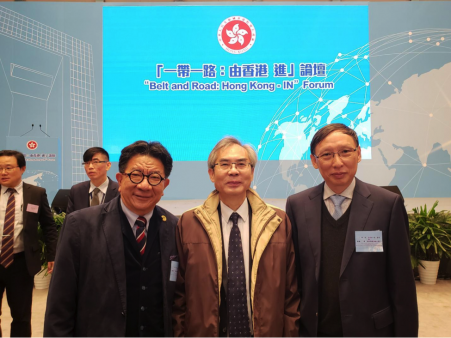 Professor M W Chan and Walter Chan of our Institution will be the Speakers of the 7th workshop, titled “Integrated Project Management”, which is to be held in October 2019. Through integrated project studies, the total project life cycle from inception, feasibility, funding, design and construction, risk management as well as facility management in relation to OBOR projects will be discussed. These upcoming workshops provide good opportunities for our members to learn from experts in the Belt and Road countries and share our insights with other multi-disciplined professionals. As the Institution of Public Private Partnerships is one of the Supporting Organisations, our members will have priority to join the workshops and sharing sessions. Below is a link to the brief description and online registration to the workshops for the Programme.